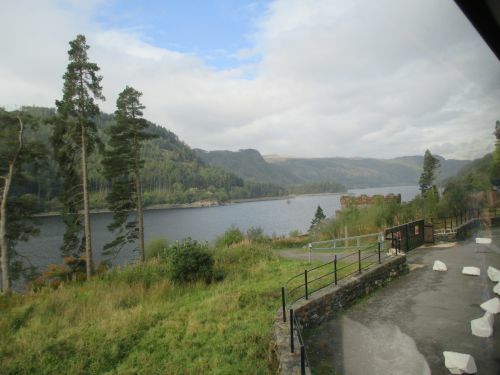 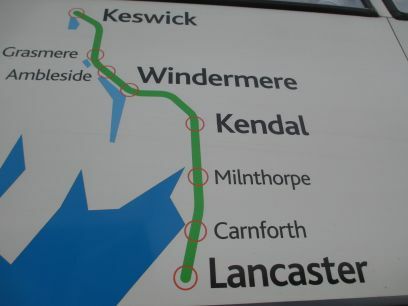 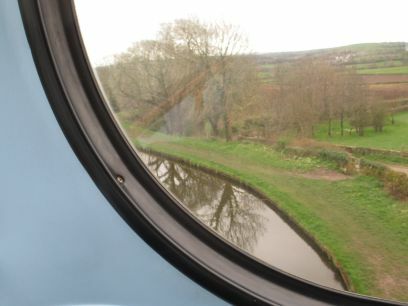 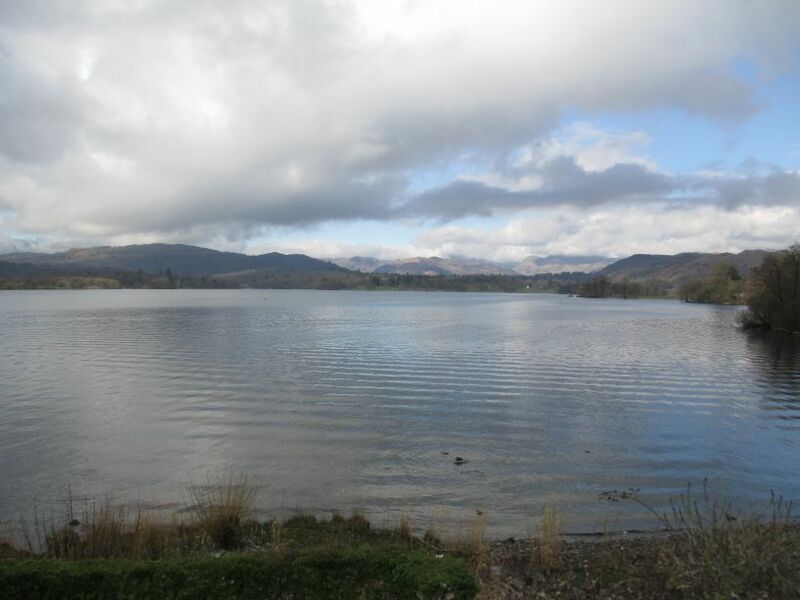 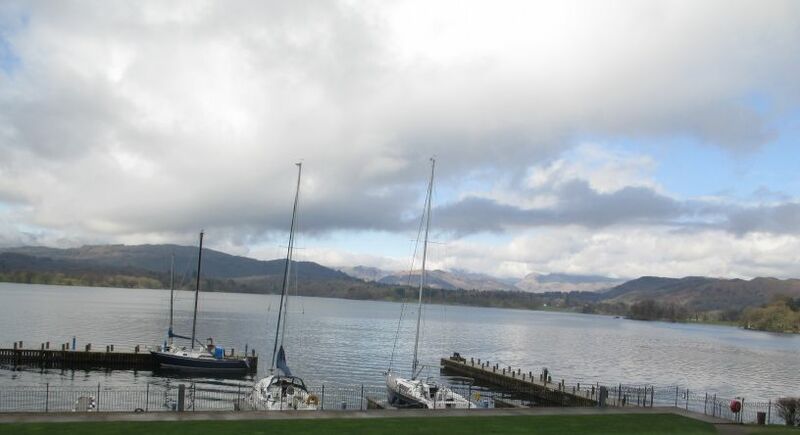 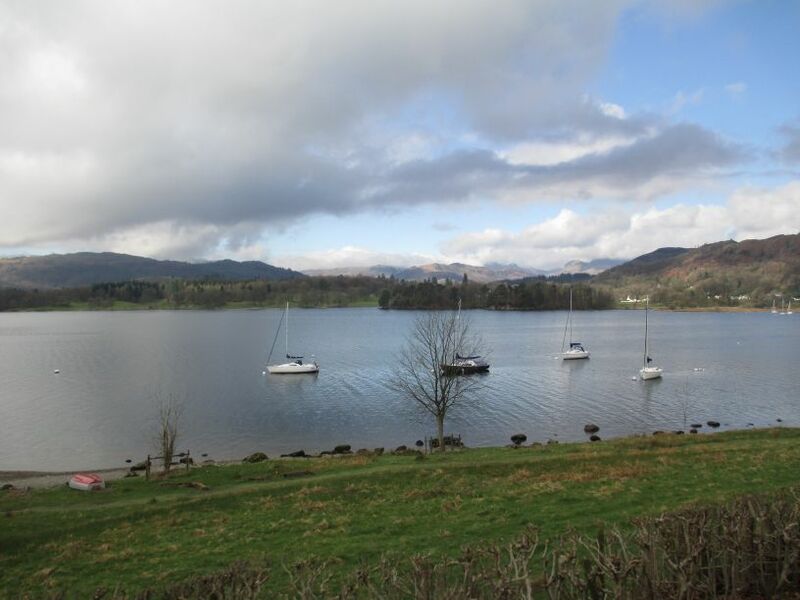 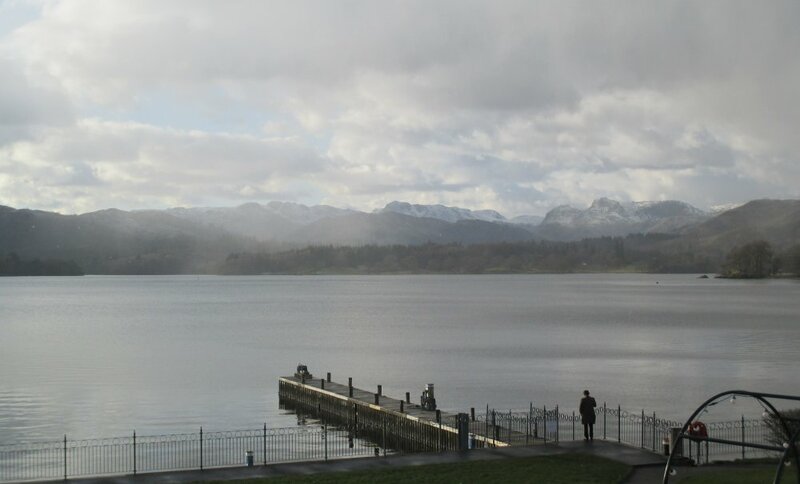 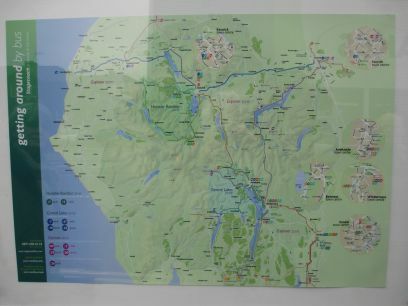 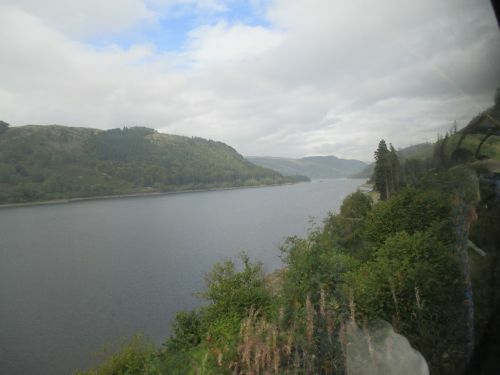 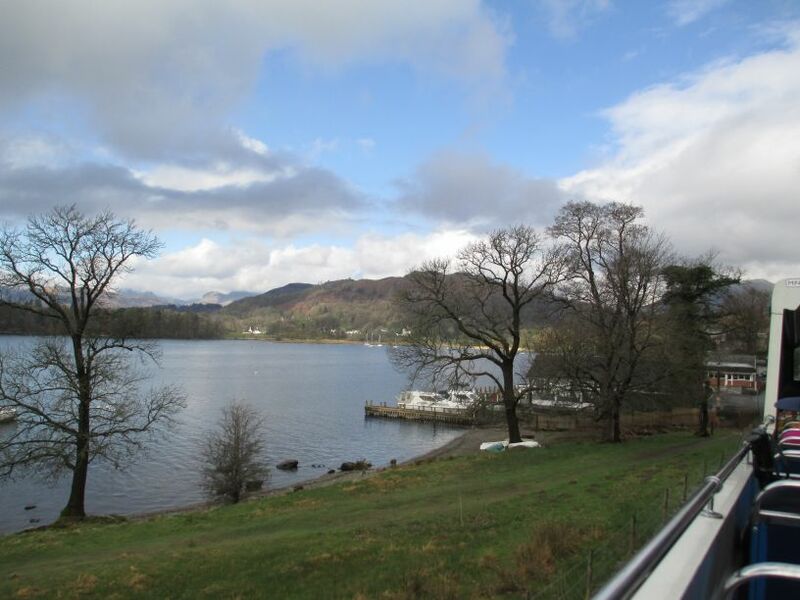 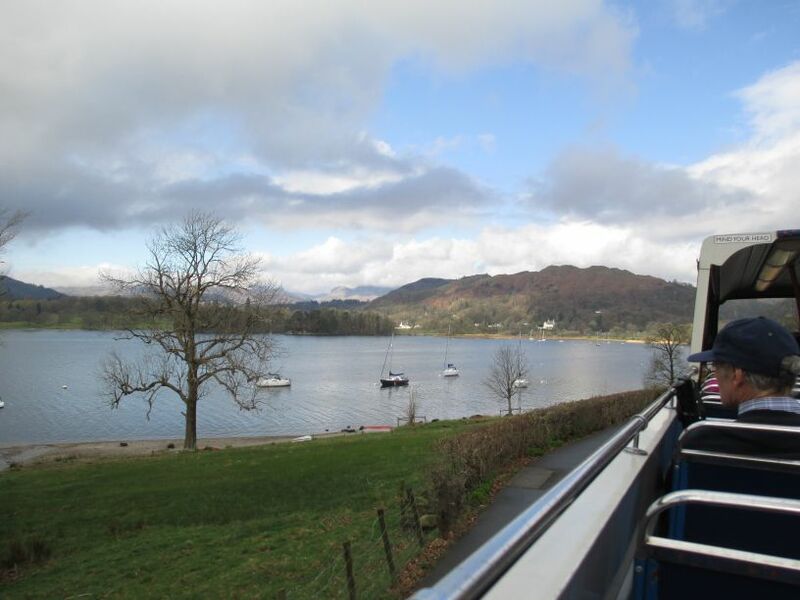 Lakes Connection - Scenic Services! 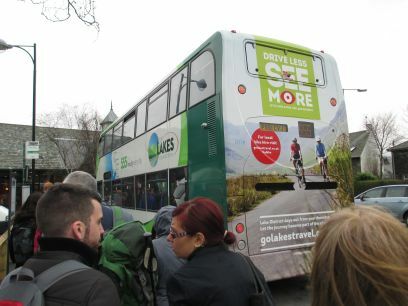 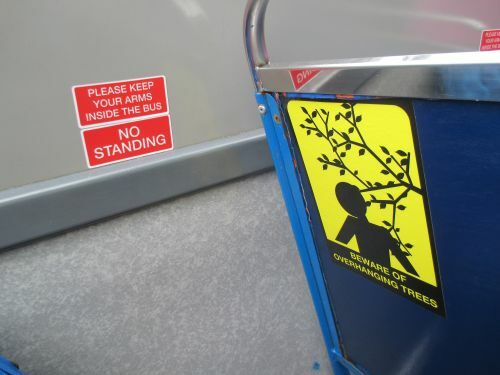 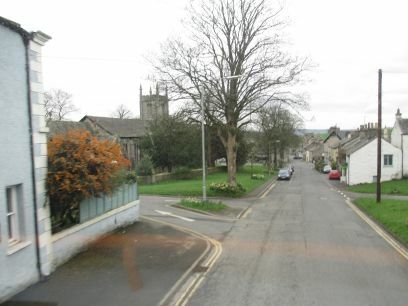 With the open top buses (NOT the 555 bus route) watch out for your arms, hands and face from overhanging tree branches! 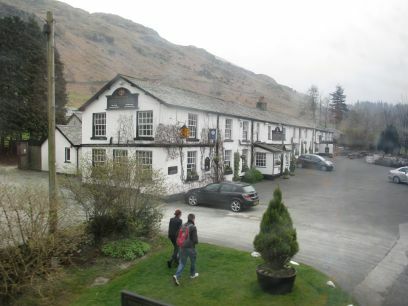 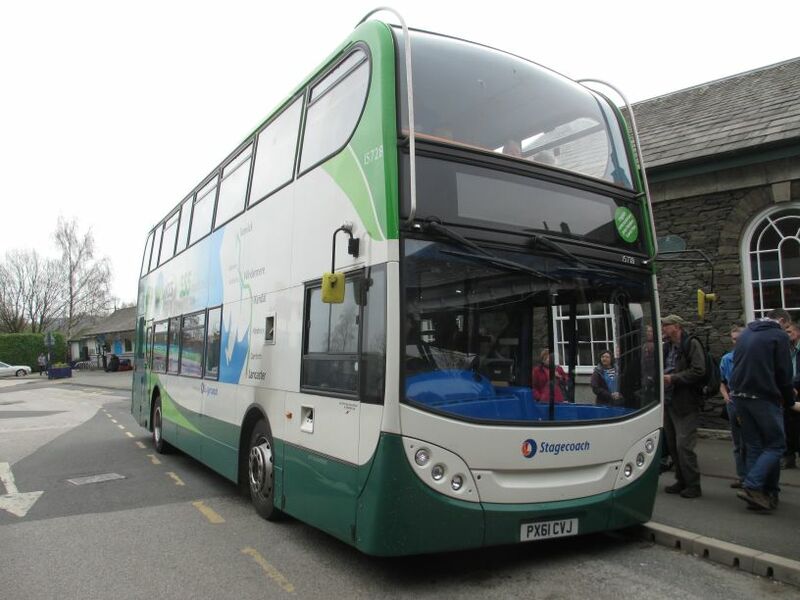 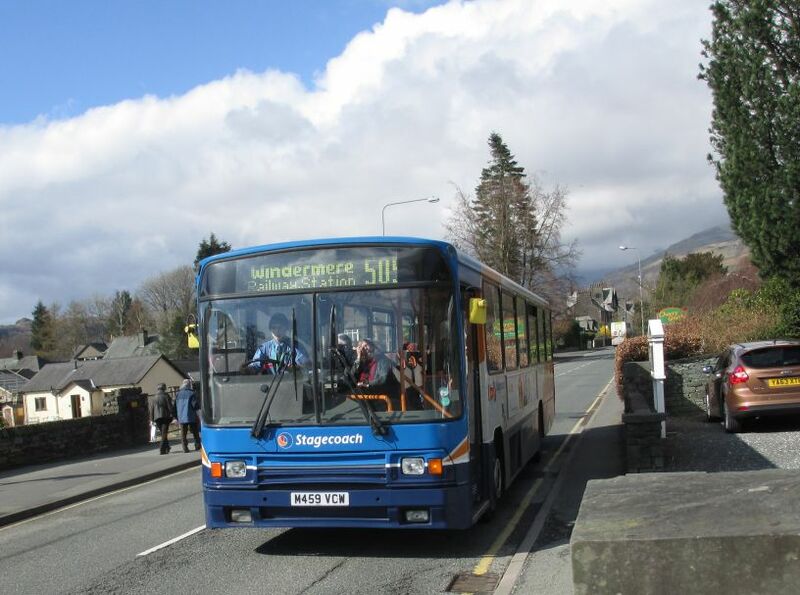 The 'open top bus' waiting at Grasmere with the 599 service to Windermere. 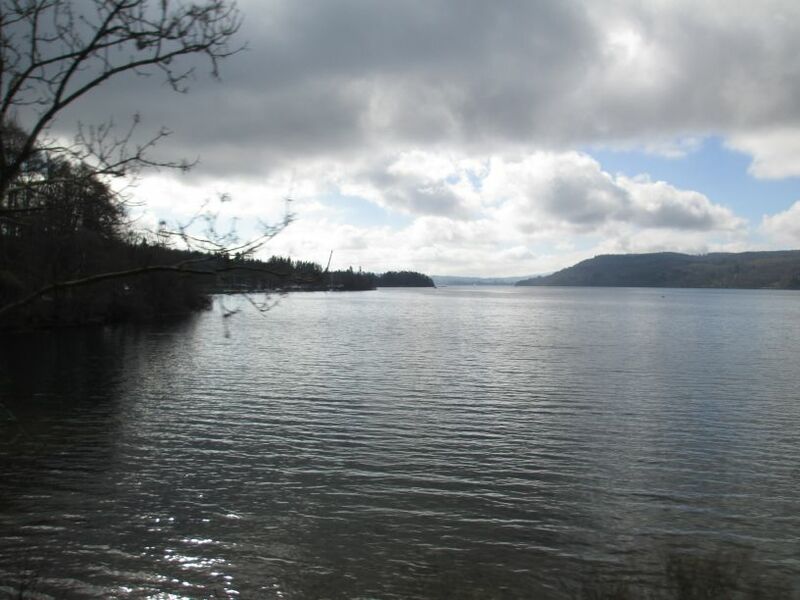 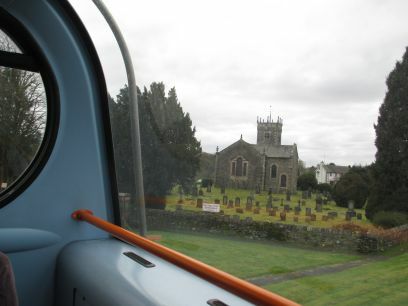 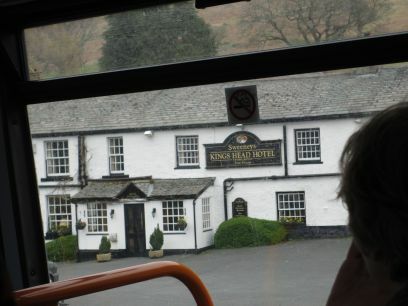 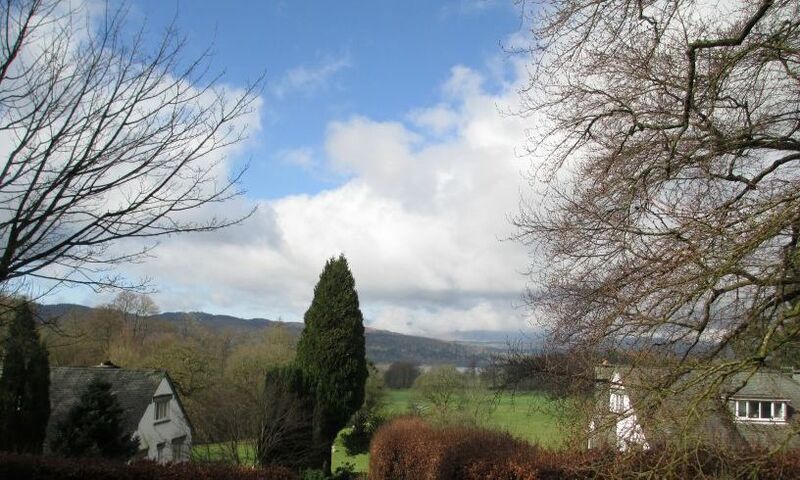 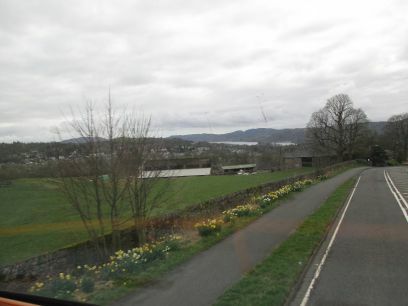 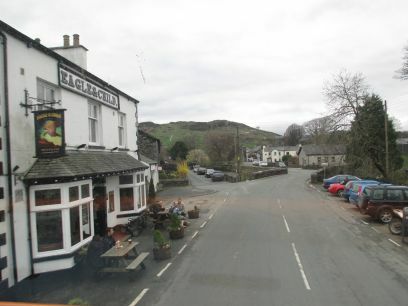 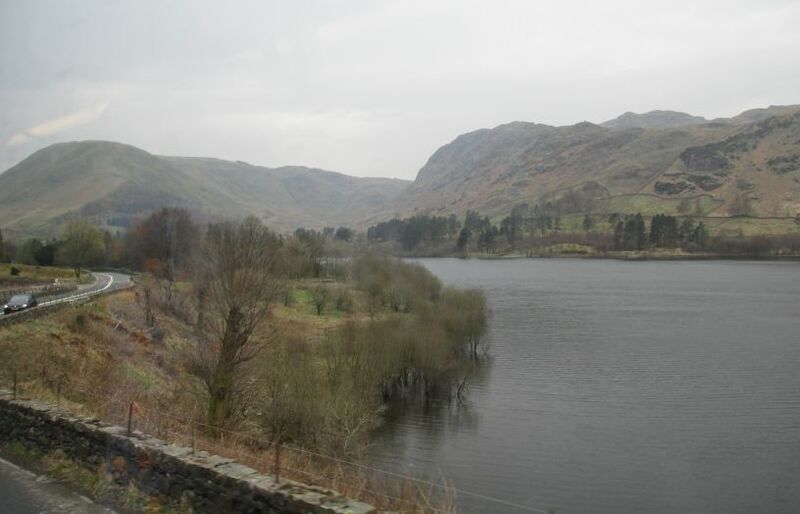 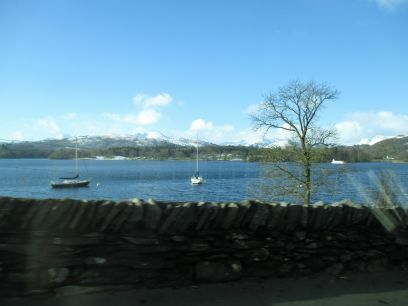 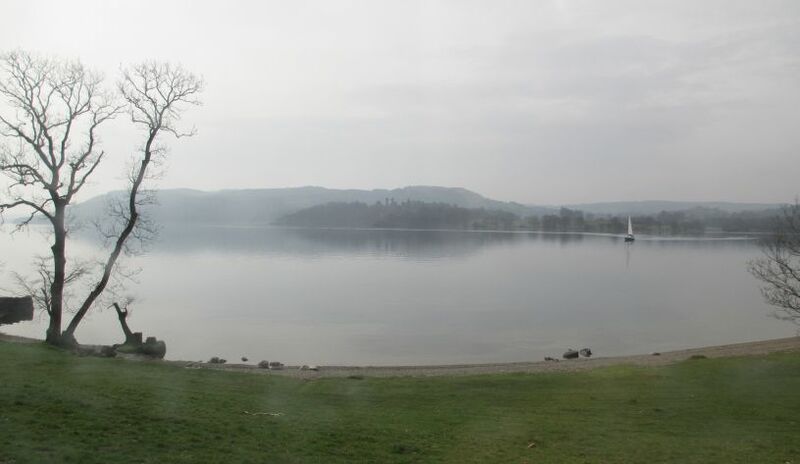 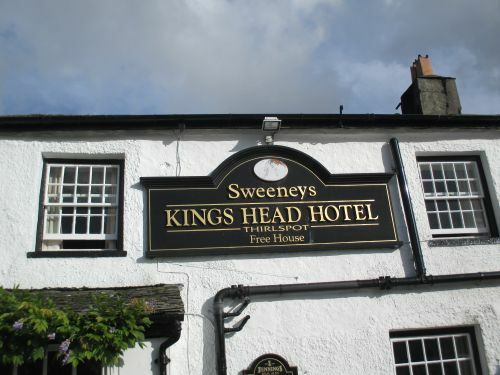 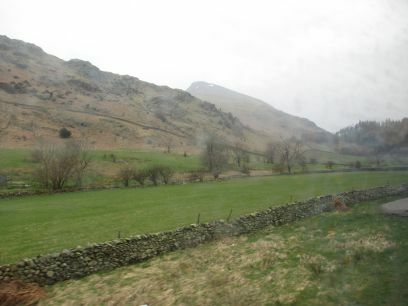 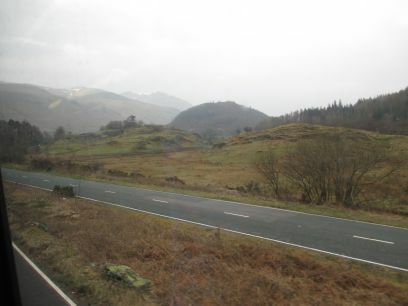 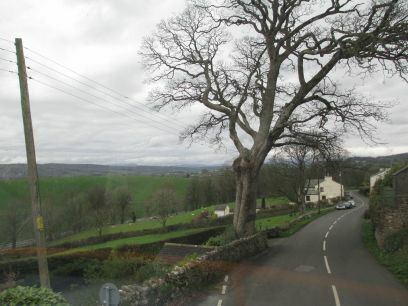 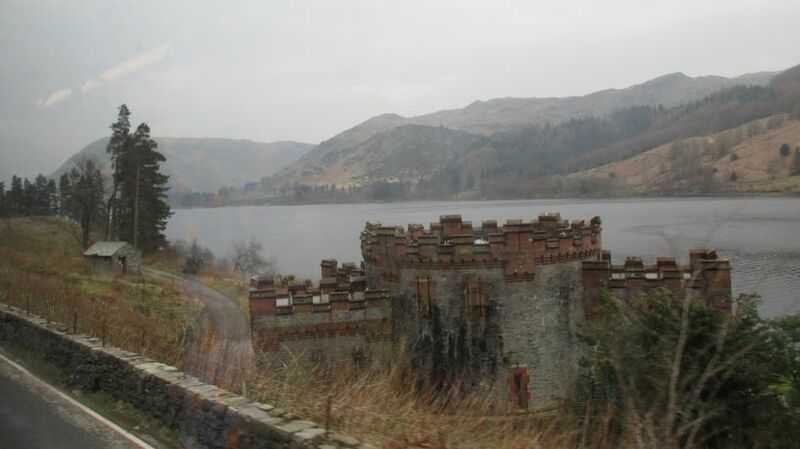 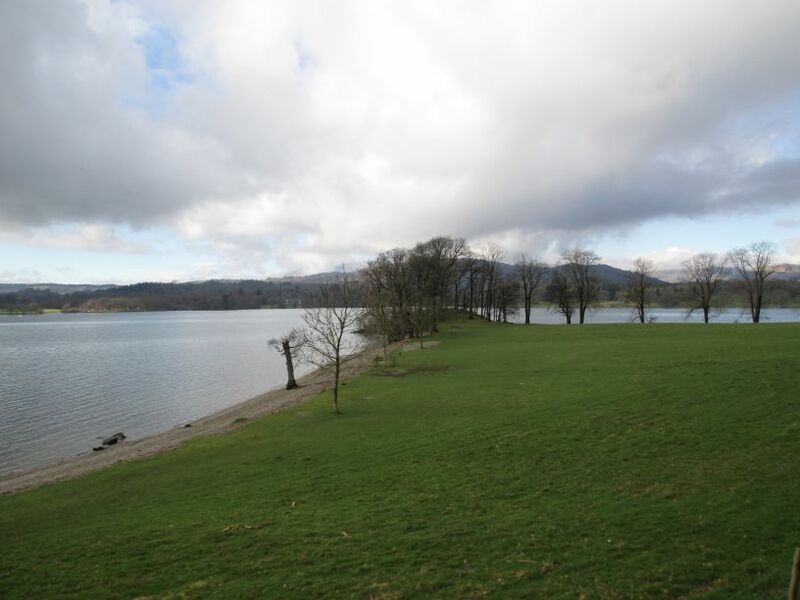 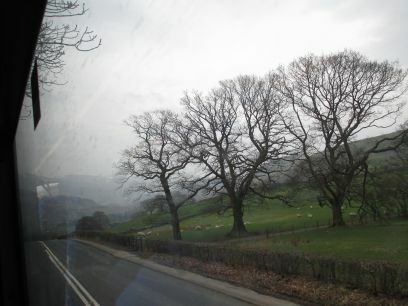 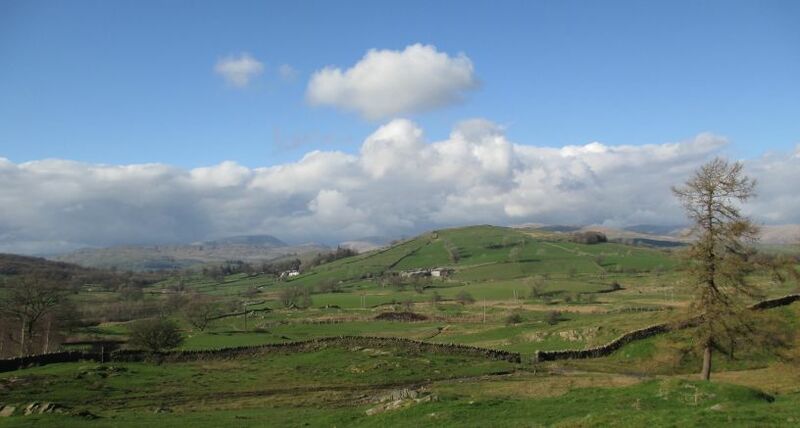 The scenery near Ings between Kendal and Windermere from the 555 bus. 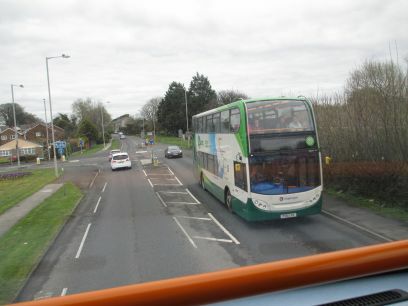 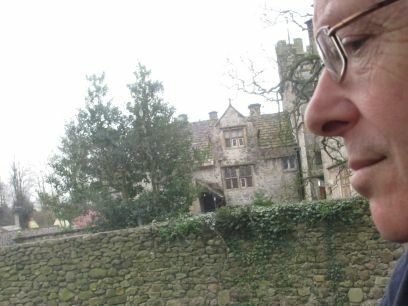 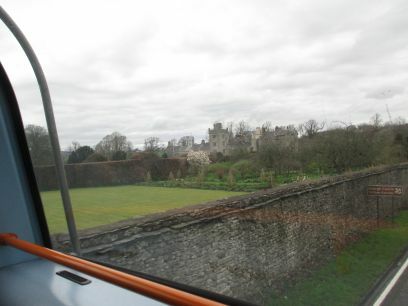 I'll just let the pictures tell their own story from the open top deck double-decker bus! 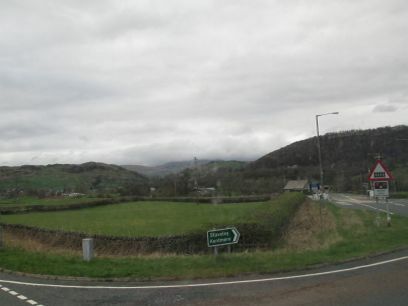 Cows on the road near Thirlspot! 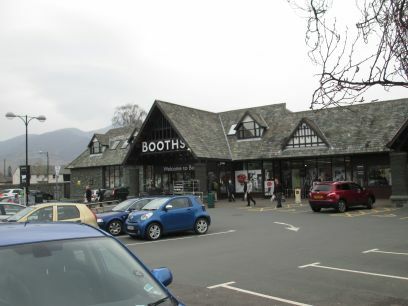 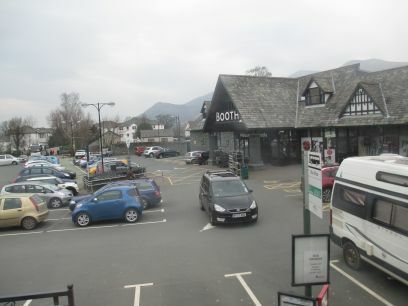 The Bus station at Keswick by Booths store -excellent shop. 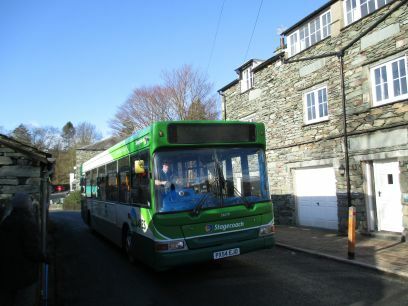 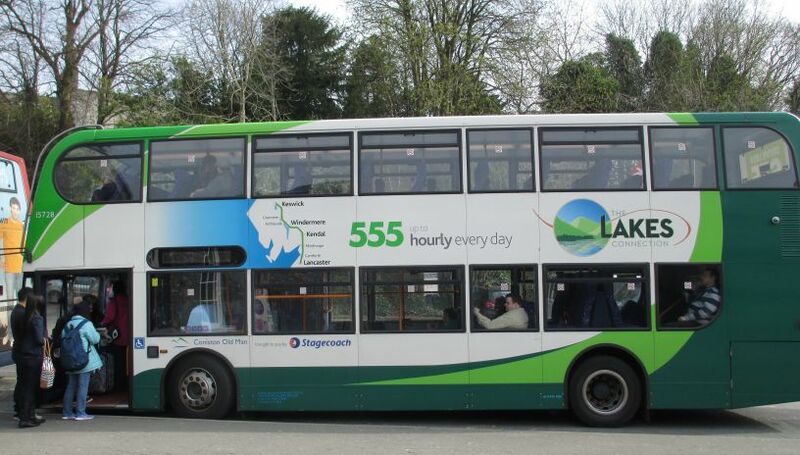 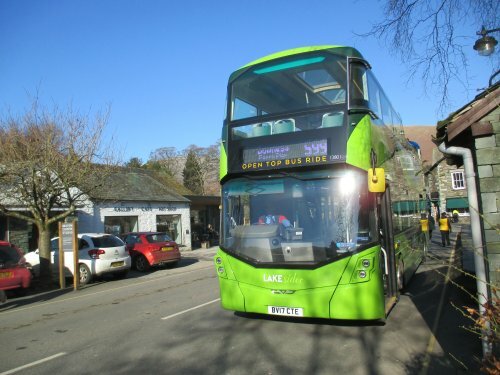 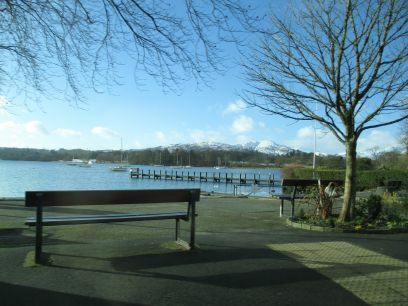 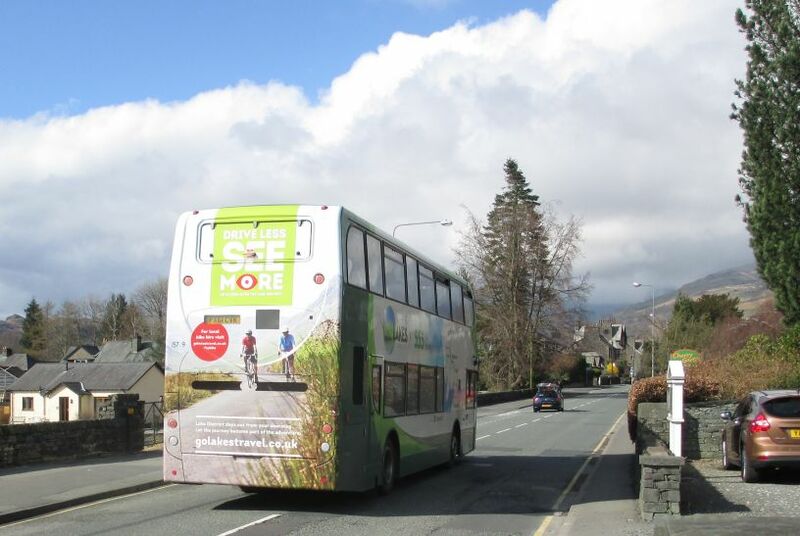 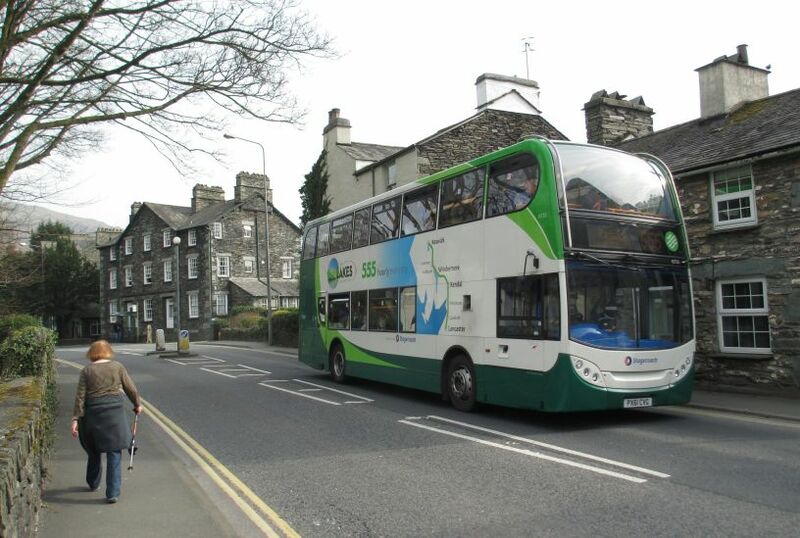 The 516 bus passing through Ambleside on a beautiful clear winter's day. 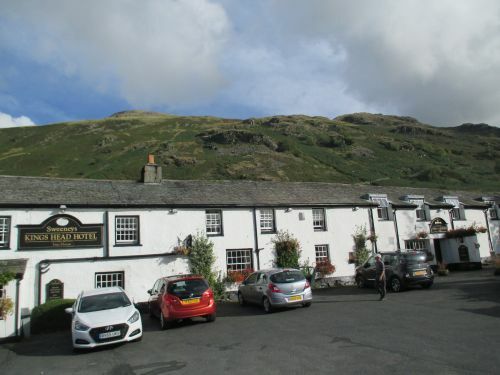 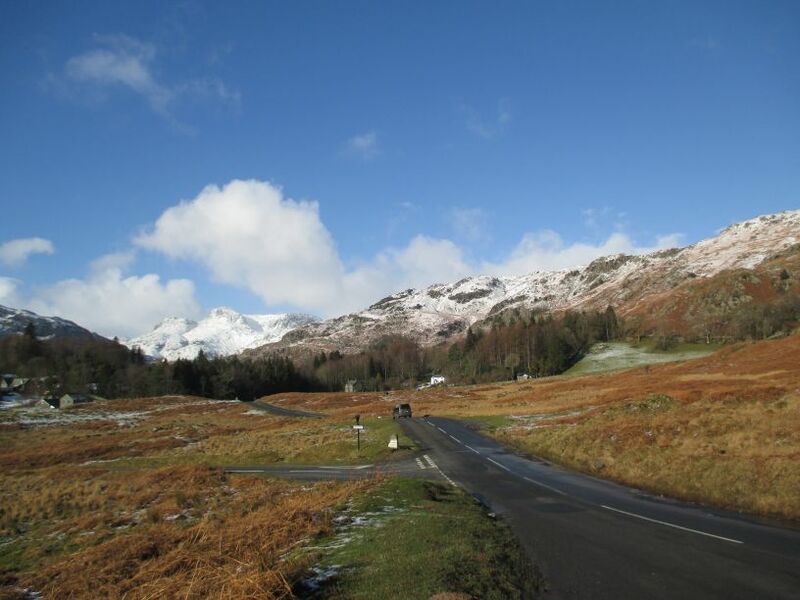 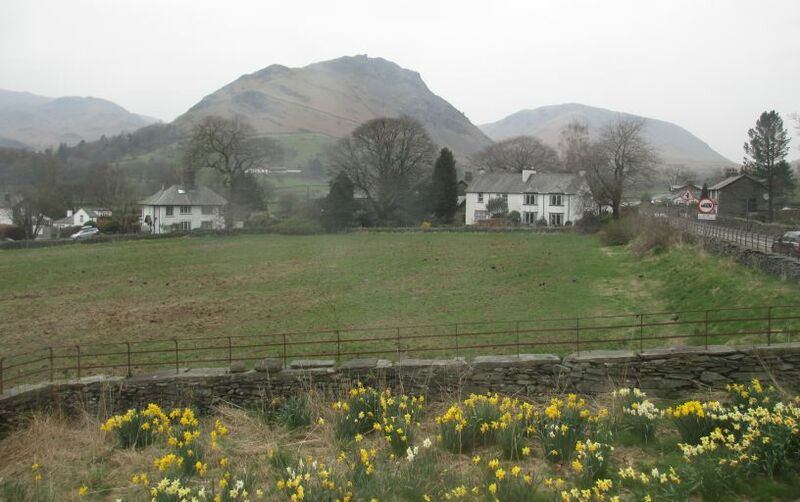 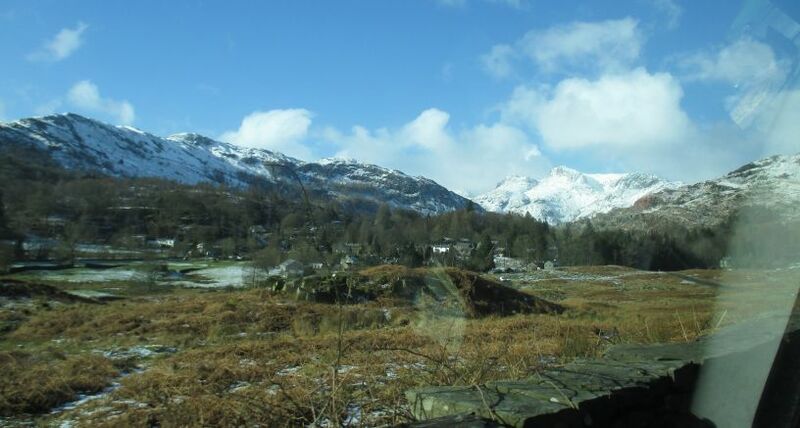 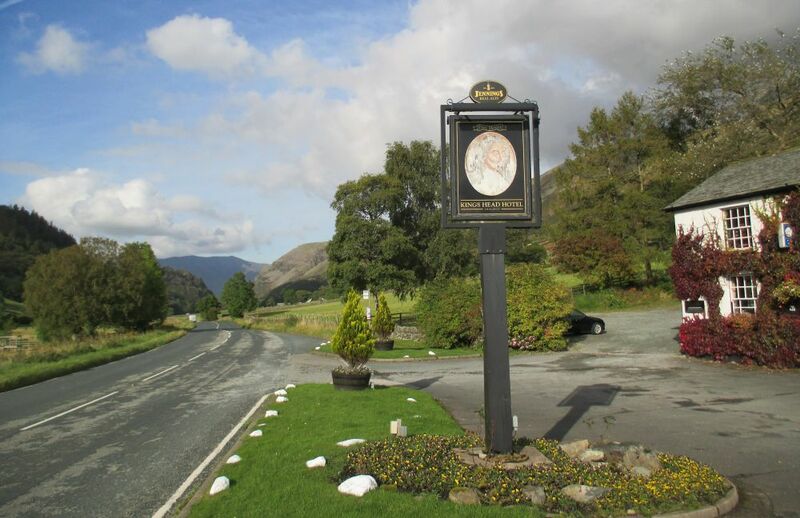 After getting off the 516 bus at Elterwater, the road straight ahead goes right down into the Great Langdale valley with the snow covered Langdale Pikes on the distant left. 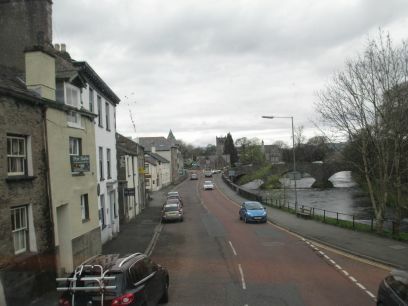 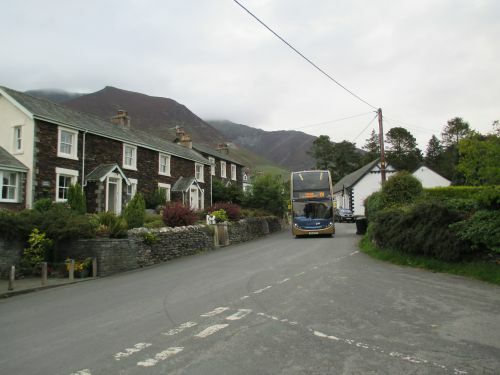 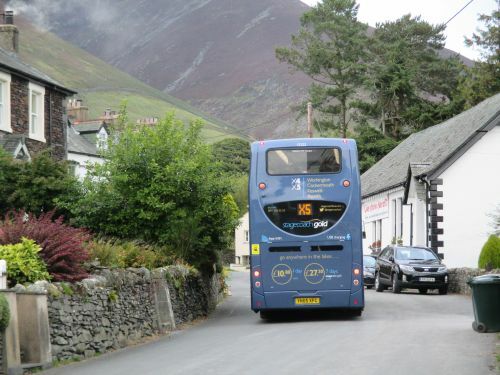 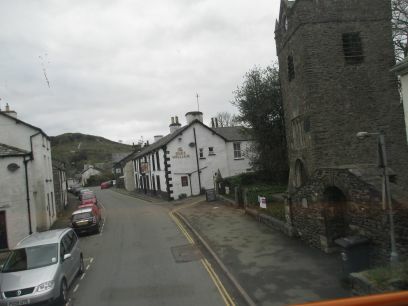 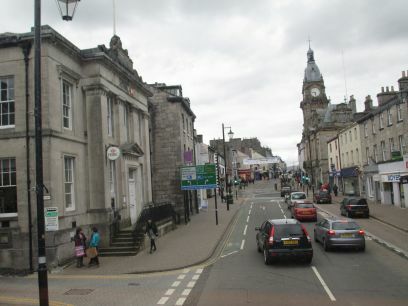 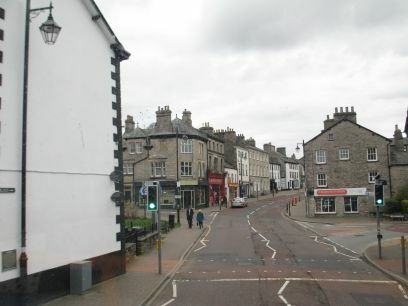 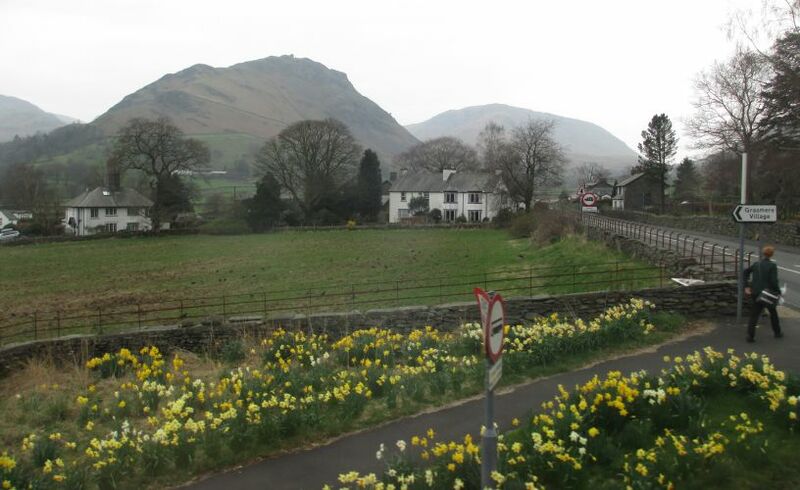 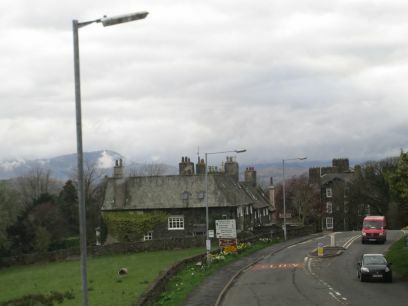 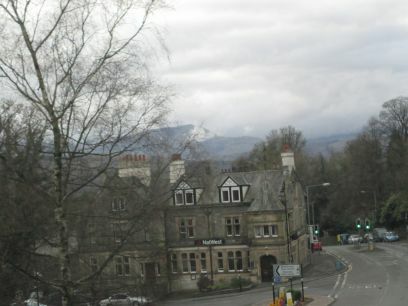 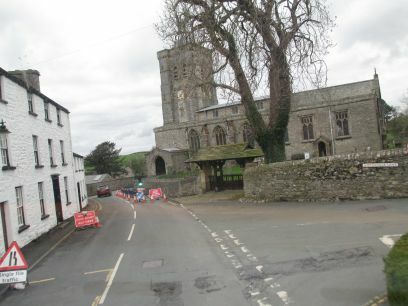 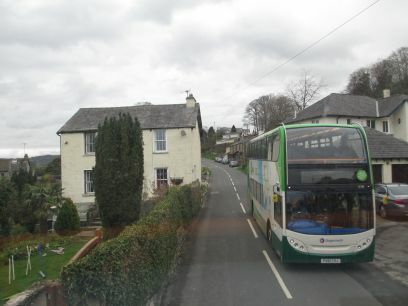 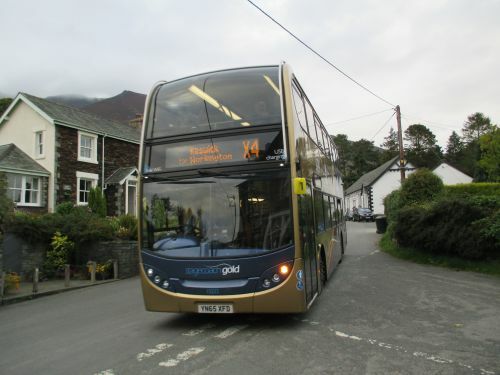 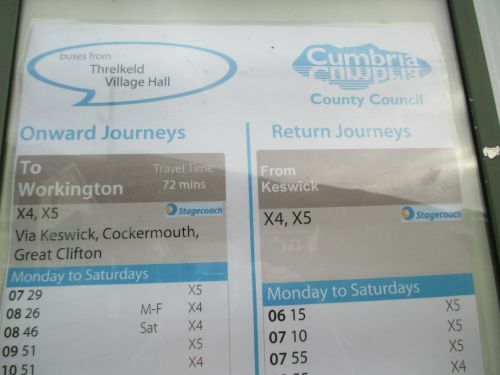 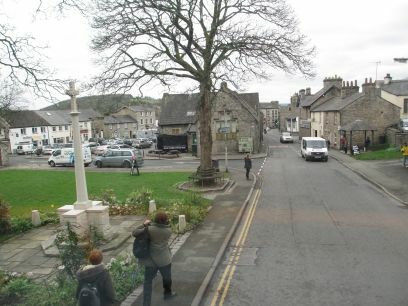 The X4 bus passing through Threlkeld with a service from Penrith to Keswick, Cockermouth and Workington. 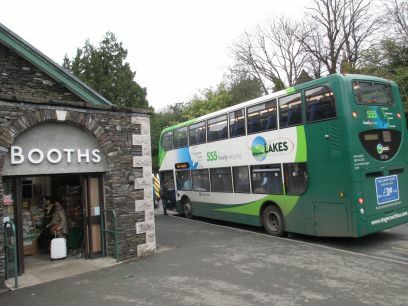 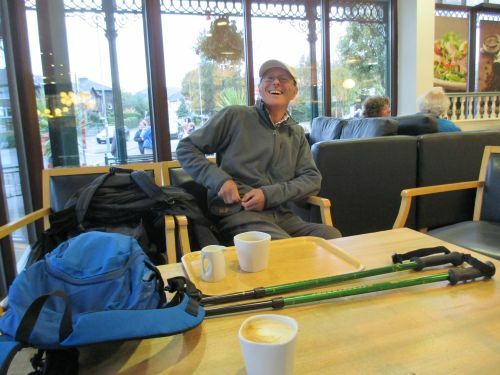 A coffee break in Booths Cafe, between buses at Keswick bus station. 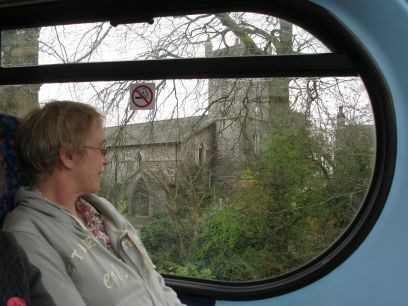 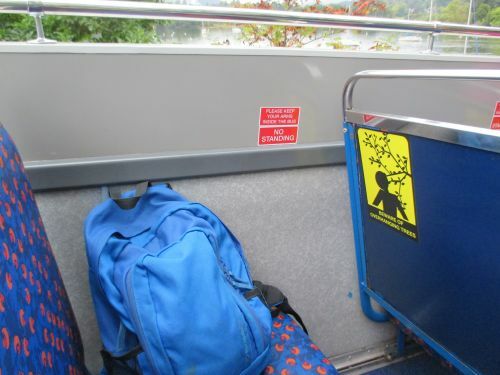 Mind your head on the 'open-top' buses!